Your dogs are welcome on the farm. There are some rules which are written below but the dogs are welcome to walk down around the lakes and woodland and some of them even enjoy a dip in the lakes. The most important rule is not to leave your dogs in the cottages on their own at any time. They must always go out when you do. This is to avoid damage to the cottages and also distress to the dogs left in a strange place. We can usually tell when dogs have been left behind as they bark alot when you are gone. There is a maximum of two dogs in each cottage. Please pick up any mess the dogs make around the cottages. Please control your dogs around any animals on the farm as dogs chasing them can cause distress and injury to the cows. Also the cows will sometimes chase the dogs!! 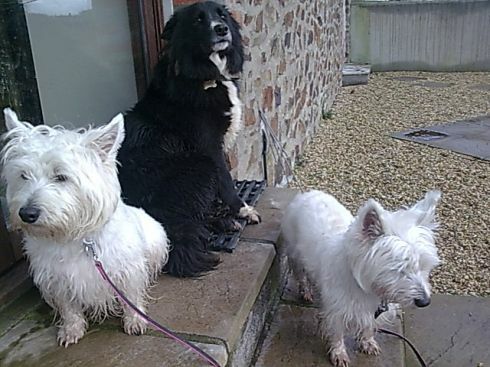 Please keep your dogs under control at all times around the cottages so as not to disturb the other guests and dogs. There will be other dogs and children on the farm and you must not allow your dogs to wander around the other cottages. The cottages are separate from each other and most people come for a quiet holiday and do not want to be bothered by other peoples dogs. 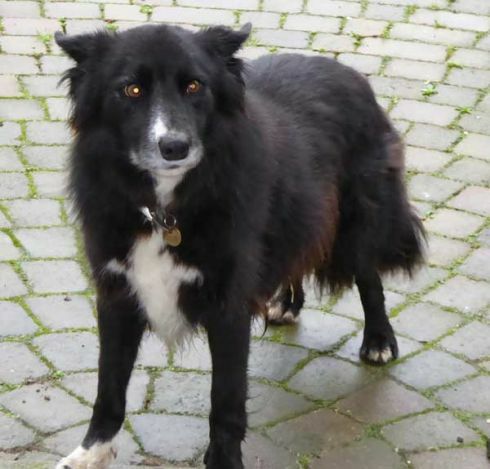 Sadly Harry, our farm dog, who has befriended many vistors over the years, recenty passed away. We are hoping to have a new dog in the autumn although they have some big paw prints to fill!